A few weeks ago, searches—my own included—started pouring in. I looked up a recipe for Qatayef, the crescent-shaped dessert which has signaled the arrival of Ramadan in my house over the years. Now, I’m closer to recreating the Qatayef my mother used to make for my siblings and me years ago (and many others have also looked up the recipe to try to master the dish as well). You can go beyond finding recipes with the resources in our Ramadan Hub. There, you’ll find most relevant information to help you observe the holy month. The Ramadan Hub will walk you through different ways Google products can help you this month. Now that we’ve entered Ramadan mode, the technology we use every day should adapt accordingly. To make it easier for you to find helpful content, the YouTube homepage in the Middle East, North Africa, Indonesia, and Turkey will display a collection of trending Ramadan videos. This ranges from videos that help you prepare an ambitious recipe, or that episode from the Ramadan series everyone is talking about. Google Maps, Allo, Duo and Google Play will also keep up with you this Ramadan. A notification from Maps will tell you when to leave the office to beat the Ramadan traffic so you can get home in time for Iftar. 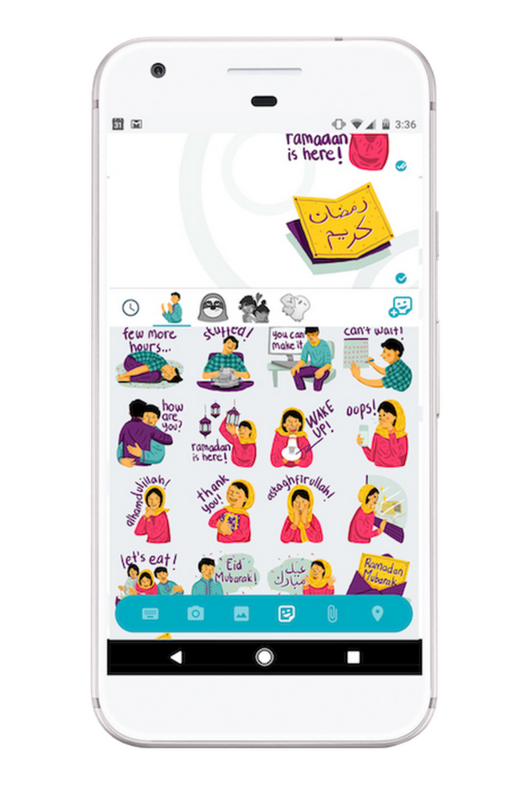 Duo will remind you to call your friends and family before Eid, and we’re launching new Allo stickers that will help you convey those Ramadan feels. And the Play Store homepage will show you the most relevant and popular apps to help and guide you through Ramadan.